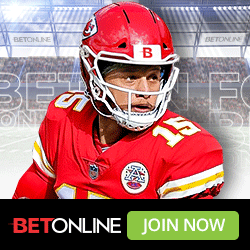 Why Bet Sports at BetDSI Sportsbook? BetDSI is the preferred online destination of both recreational and professional bettors. This isn’t only because of the competitive lines and odds, but also the customer service. Though you won’t find the biggest and best bonuses that are available at other online sportsbooks that we review and promote, you will find that your money is safe and secure at BetDSI. And when it is time to request a payout of your winnings, you will receive your money quickly. When you open your sportsbook account at BetDSI, you have access to your online account wherever you are with their mobile betting platform. Just use your smartphone to access their mobile site and you will be placing winning bets anywhere you have a phone signal. Spooky Express is always working on getting you the best sportsbook promo codes for the sportsbooks we promote. When you use BetDSI Bonus Code Spooky200, you will be entitled 200% Sign up Bonus. Whether you are strictly a sports bettor or also enjoy betting the ponies and playing online casino games, BetDSI provides some excellent bonuses to players that use Bonus Code SPOOKY200. Up to a total of $1,000 – You will you receive a 100% Sportsbook Cash Bonus ($500 max) along with a 100% Casino Money Bonus ($500 max). There is a 20x rollover on the sports bonus and 40x rollover on casino bonus. These rollovers include the deposit and bonus amounts. Casino Only Bonus – If you only want to play in BetDSI's Casino, you can receive a 100% Casino Bonus when you fund your account up to $1,000. There is a 50x rollover play through on the deposit and bonus. Up to 8% Horse Rebate – You will receive 3% – 8% rebate based on straight or exotic bets depending on bet and track. There are no minimum weekly volume requirements or maximums on how much you can earn. Bitcoin or Altcoins Reload Bonus – When you reload your existing account with Bitcoins or Altcoins with a minimum of $25 you qualify for a 30% Reload Bonus (Max bonus of $2,500). There is a 3x rollover on this bonus. *Many other additional Bonuses from Casino, MMA, and Boxing to contests all month long at BetDSI. *See terms and conditions on BetDSI's website for all promotions. Some deposit methods do not qualify for bonuses. BetDSI rewards its members for playing. The more you play the more you earn at BetDSI. It does not matter how much or how little you play as BetPoints accumulate in your account until you decide to redeem them. You can redeem your BetPoints for Freeplays. Its easy to get started earning rewards, simply open an account with Spooky200 promo code and start betting sports. To qualify you simply need to make an initial deposit of $300 or more. There are three levels in the Rewards Program. From Gold, Platinum and Diamond and specific benefits for each level. There is no cost to register. And don't forget you get daily cash rebates if you bet the horses. Looking to log into your account at anytime? If you are someone who is always on the run and needs to access your account from anywhere from your smartphone or tablet, BetDSI gets the job done. Placing a wager takes no time at all and you have all the options of depositing money into your account right from your mobile device. Live betting is one of the greatest wagering options available at many sportsbooks now. Log into your BetDSI account at anytime, anywhere from your desktop, smartphone or tablet and get started. You are actively wagering on an event while the play is going on. Prop betting is one of the more entertaining and unique forms of wagering on many sports. A prop bet, short for proposition bet, is essentially any wager that is not directly decided by the game's final outcome. Open a new account at BetDSI with Spooky200 promo code and find one of the largest selections of props available from individual player props, team props, halftime lines, quarter lines and live wagering. BetDSI now allows you to easily deposit money to place bets using Bitcoin. You can also receive your winning by requesting your payout via Bitcoin.